A clear, comprehensive presentation of both the theory and applications in signals, systems, and transforms, this book presents the mathematical background of signals and systems in relation to practical theory. Well-written and well-organized, it contains many examples and problems for reinforcement of the concepts presented. 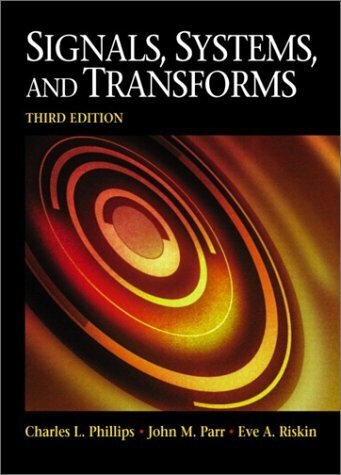 This book presents the mathematical background of signals and systems, including the Fourier transform, the Fourier series, the Laplace transform, the discrete-time and the discrete Fourier transforms, and the z-transform. For electrical and computer engineers.